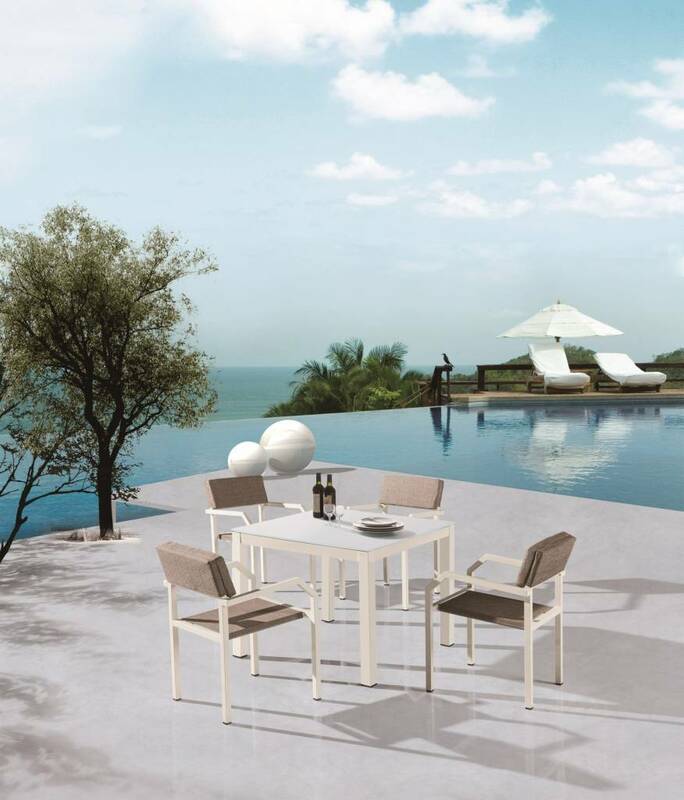 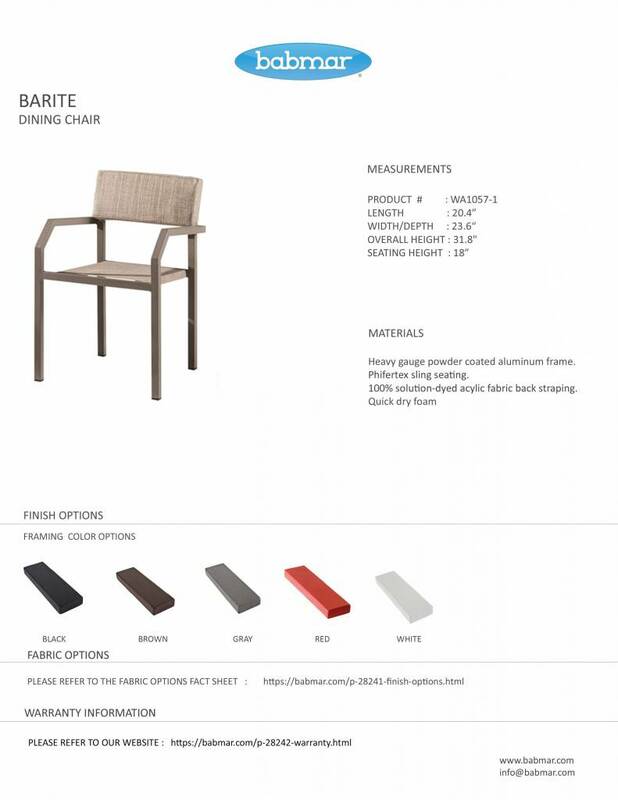 The easy-going design scheme of the Barite Dining Set with Arms makes it a wonderful addition to poolside restaurants, resorts, and clubs. A soft color palette graces the aluminum frame, while the resin fiber weaving takes responsibility of bedecking the chairs. 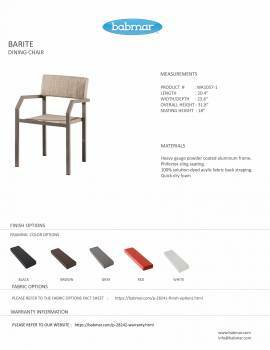 The fiber weaving adorns the seat as well as the backrest in order to complete the styling of this beautiful ensemble. 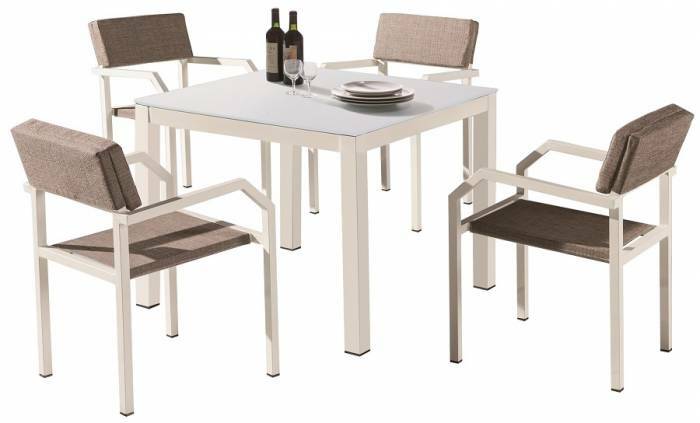 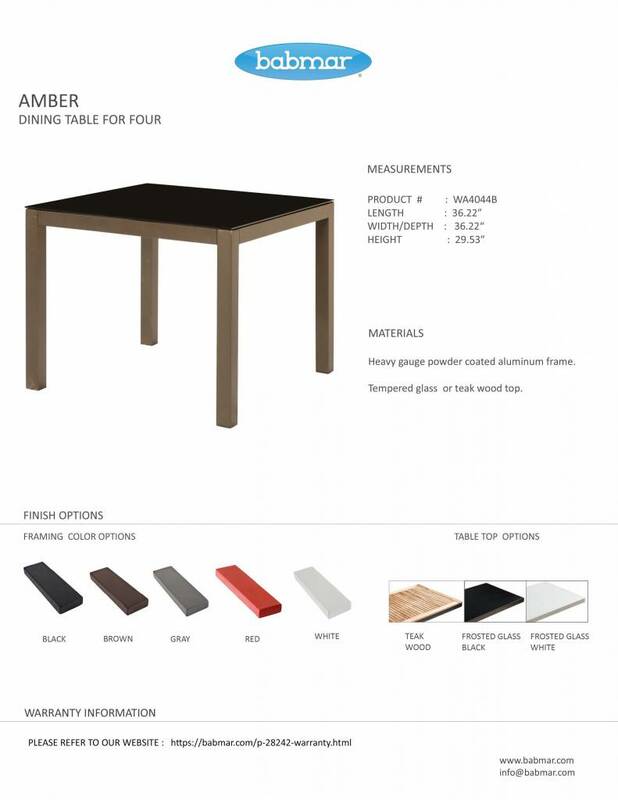 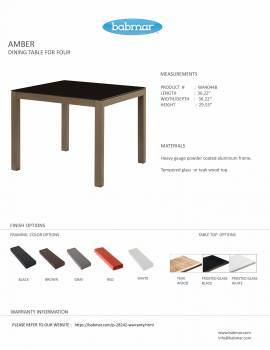 A tall table featuring a square-shaped design duly complements the chairs to complete this set.